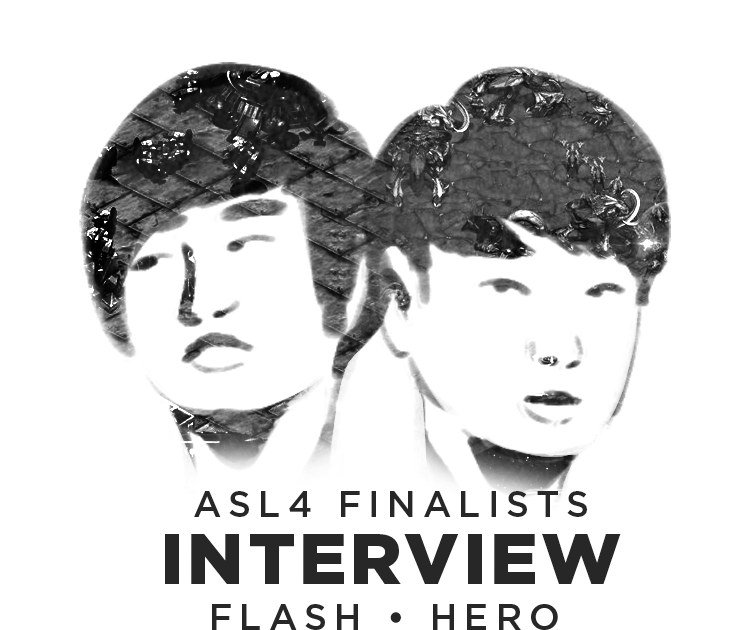 Flash Interview: "My rival was Bisu"
Thanks to Afreeca's help (facilitation and translation done by Lex Song), TL was able to get interviews with both ASL4 finalists, Flash and hero. These interviews were conducted after the ASL4 finals concluded and have been edited for clarity. The Flash interview is posted below and the hero interview will be posted in the coming days. We hope you guys enjoy it. 1) Hi Flash. Thanks for agreeing to this interview with TeamLiquid. Congratulations on winning ASL4. You are arguably the greatest Starcraft player of all time. Does being the greatest and most dominant for so long make the game boring to you? How do you maintain your focus to be the best for so long when others seem to become content with their success and stop practicing as much? Flash: My personality is such that I can’t stand losing to someone. That is why I practice hard. 2) Looking back at the bracket up to the finals, who do you think had the best chance of beating you this season? What about from the ASL4 player pool? Flash: I think my rival was Bisu. 3) Your decisions in all your games have been spectacular so far. As an example, using two tanks to take out two depots and supply blocking Mind in game 3 in the quarterfinals. Can you walk us through your thought process? Flash: I think it is a result of a lot of practice for a long time and I think that it is possible to operate such a momentary sense from time to time. 4) You faced hero in the finals and came out victorious after some rough matches. Were you expecting to face such a strong opponent? How would you rate your performance? Flash: I think the final is the last stage for putting everything on the line as a player. So, of course, I knew it would be fierce. 5) In game 1, you mentioned on stream that you considered fast nukes after the opener but decided against this due to being friends with hero. How close are you two? Flash: We are close because we also both work as BJ. 6) In game 2, you planned for a CC into SK Terran build but the plan was leaked onto starlog.gg. Is this something that you feel will become quite common? Your thoughts on the whole situation? Flash: In fact, it is not such a good site for players. However, as it is a good site for users, I do not want to think too much about it. 7) Game 3 saw you lose a macro game to hero after having such a strong hold on the game. What was running through your mind after hero's first drop succeeded? At what point do you believe that the game was lost? Flash: herO’s speed was very fast and he made continuous drops which was very good. 8) Game 4 on Fighting Spirit saw you succeed in busting up hero's ramp at his third. It also seemed that you planned to blind hero's lurkers but you were unable to. Was this a prepared build or did you adapt on the spot? 9) Your mech transition style has revolutionized modern TvZ. Would you say the new strategy is a result of the changing maps, or just a better way to play the matchup which you discovered? Flash: It depends on the map, but it is not possible to use the mech transition (Editor note: translated as rate mechanics) in recent maps. 10) Many criticize you for playing too standard and say you are not creative anymore like your early days of being known as Cheddar Terran. Will you show us new and creative builds in the future? Flash: I am also always trying. When I play games with amateurs, I play with nukes and try fresh plays. However, I think maybe the time has passed for me to play fancy games, but I will continuously try. 11) You've said that Crossing Field has given you trouble. However, many believe that split map late game on Crossing Field is very good for Terran. Why do you dislike the map? Flash: The information that Terran is good on Crossing Field seems wrong. It is a map where all the Terran and Protoss players are struggling. Starting with the backyard, the basics of the map are very bad. Based on this, I’m proud to say that I don’t have a serious problem concerning the map and I have the knowledge to analyze it very well. 12) Your understanding of the various matchups seems to be on a different level when compared to other players. How did you arrive at this point? Flash: I think it is the result of a lot of practice. 13) The scene has changed greatly from the KeSPA era with streaming being the main source of revenue for many players. What are you current thoughts on how things are progressing nowadays? Where do you see the future of BW at this rate? Flash: I think it is a good flow. 14) One of the major concerns in the scene is about the lack of new blood. Has there been any discussion regarding this among the current players? Maybe some kind of mentorship program that can be put in place to try and help some of the amateur players who show the most potential to be the next big stars in BW? Flash: In fact, I am also worried about it myself. 15) Some fans worry that without the support of the fully sponsored pro teams of the KeSPA era, today's aspiring pro Brood War players will never be able to reach the level of the current generation of top players. Do you think these concerns are justified? 16) With the return of a lot more BW players, the skill level has risen greatly and some players have went on record to say that they perform better than during the kespa days. Do you believe that the skill level has increased that much despite the lack of teams, practice partners and coaches? Please elaborate. Flash: My play ability has grown, so I don’t think it is important to have team members, coach etc... I think everyone has a different time when their skill level gets a boost. 17) There's been rumours that you plan to join the army sooner than later. However, you've also stated that you want to win 5 ASLs first and will wait until all of TBLS finish their service. Has your original plan changed, aka any basis for these rumours? Flash: I myself do not know about this part either. 18) Who do you believe is the best ZvTer in the current era? Why is that? 19) In closing, is there anything you would like to say to your foreign fans? Flash: I will always try my best to show my fans more interesting games and thank you. A lot of short answers.. Note to self: don't interview Flash when he's on a trip. very short answer, seem like he isn't in the mood or doesn't care. Flash with the fresh plays and nukes. Not the greatest interview I've ever seen. Thanks for it anyways. Text looks like an F on a History test. Frankly, you have to give credit to Flash for being diplomatic at least. As God, answering questions without revealing too much of the master plan or without putting a curse on someone for life is a difficult task. His word is literally gospel. This is a terrible interview honestly. I'm just happy Flash did the interview. Not everyone has a lot to say. I wish people would be more easy on Flash. what is a BJ ?